Origin Energy is the leading Australian integrated energy company supplying electricity to 4.2 million customers and developing and producing natural gas - a cleaner form of energy for customers in Australia and beyond. Origin also aspires to be the number one renewables company in Australia, by empowering customers to reduce their carbon footprint through wind, solar and storage technology. Origin Energy wanted to enhance the experience of LPG customers. 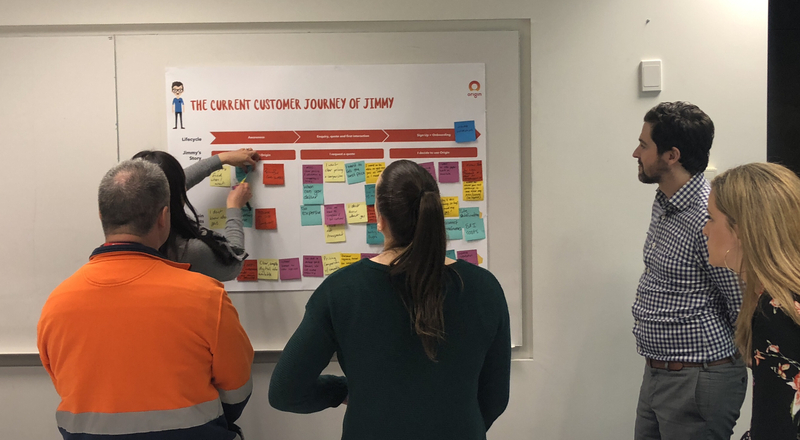 The team required the tools and techniques to identiy key customer touch points, as well as current pain points and improvement opportunties. - To understand the importance of customer experience. - To map out one key LPG customer journey with customer needs/wants, pain points and opportunities. - To prioritise the opportunities identified to improve the customer experience. - To develop an action plan to progress the top opportunities identified.